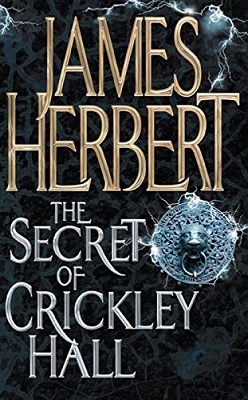 The Secret of Crickley was published in 2006. Six years later the BBC adapted James Herbert’s novel for a TV series, which helped The Secret of Crickley Hall to gain the interest of a wider audience. Crickley Hall is an old house with an unpleasant history, so the house is often without tenants. Although it is never truly empty. When bad things happen in a place it can leave its mark. Some very bad things have happened in Crickley Hall, so when the Caleigh family move in it isn’t long before they discover that things are not quite right in their new home. Gabe Caleigh is an Engineer. He is working on a project in the area and has brought his family down to the small, Devonshire, town of Hollow Bay to save himself a daily commute from London. He also thinks that it will do his family good to get away from the city. They need some time away, to heal. A year ago, Gabe’s young son Cam went missing and there is slim chance of the little fellow being found alive. It’s been too long now and the police offer little hope. Gabe’s wife Eve still has her hopes though and believes that her son is still alive. Somewhere. The Caleighs also have two daughters, Loren and Cally. At five, Cally is too young to fully comprehend the loss of her brother, but Loren is twelve and misses her brother terribly. She tries not to let it show, for her mother’s sake. Eve was dangerously close to a breakdown at one point and so a change of scene is probably a good idea. However, Crickley Hall may not be the best place for it. The Caleigh’s dog Chester senses the bad atmosphere in the house straight away and they have a hard time getting him through the door. In the end, Gabe has to carry the trembling pooch inside. The dog will not settle though, and it runs away twice. The first time, they are lucky and manage to get their pet back. The second time they are not so lucky and can’t see poor, old Chester for the dust. Gabe has a practical mind and he tries to rationalize away all of the strange happenings in Crickley Hall: Chester was just homesick, the strange puddles that suddenly appear on the stairs—and then disappear just as fast—must be caused by a leaking roof. The white shadow that flitters past Loren’s room on their first night must have been imagined. And the sound of a crying child, and the banging from inside one of the cupboards? Well, that must be mice or air in the pipes. It could be any number of things, but not ghosts. There is no such thing as ghosts. Even when Gabe keeps finding the cellar door standing ajar—even though he remembers locking it—he tries to find rational reasons. If you like stories about haunted houses, The Secret of Crickley Hall might make a worthy addition to your library. At 633 pages it isn’t the shortest of books, but once you get hooked on the story (and it only took a few pages in my case) that final page comes all too quickly. I love haunted house stories, so I enjoyed reading The Secret of Crickley Hall. I liked the characters and found it easy to sympathise with their points of view. Eve: open-minded about spiritual matters and still clinging to the hope of finding her son alive. Gabe: the practical man who loves his family, but could, perhaps, be more open-minded about some things. Lauren and Cally: two children who have to adjust to life in a big, draughty old house, miles away from their friends. Then there’s Chester. I felt particularly sorry for Chester, the loyal family pet who is just too terrified to stay. I feel I should let potential readers know The Secret of Crickley Hall contains scenes of child abuse (physical, not sexual). Most of the horror in the book is of the supernatural kind, the scenes in question are there to explain the history behind the haunting, but some readers might be offended or disturbed by them. So, if you love haunted house stories, I can recommend The Secret of Crickley Hall. On the other hand, if you hate to read about the abuse of children (even fictional abuse, to fictional children) you may want to give this one a miss.